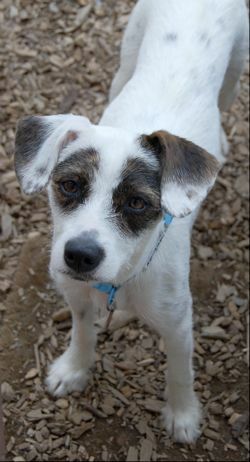 Annie is an adorable 5 month old Corgi mix pup who is going to be a small dog. She is a great pup, extremely smart and bright, a Shepherd with short legs. She will be a very loyal and devoted dog. 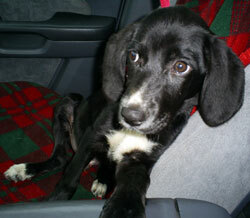 Her history is as follows: Annie and her siblings were left in a box on the side of a rural road in Tennessee. Luckily someone found them before it was too late. 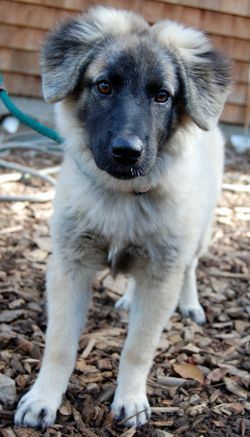 Annie and Bonnie are the remaining siblings and love to play and play. Leo, one sibling, developed severe seizures and did not survive. Our process is that you fill out the application first, no obligation. Please read our guidelines under Apply to Adopt as some dogs require a stay-at-home and some dogs require a fenced in yard. Phone calls are discouraged as it takes time away from the care of the dogs to answer questions that might already be on our web site. We tend to put down everything we know. If information is missing, it's usually because we don't know. :-) Annie will not be at the meet and greet Sunday. 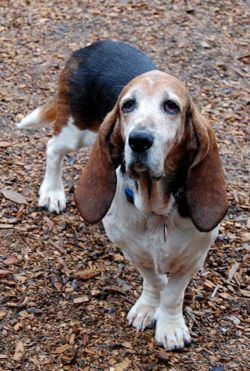 Barney is a sweet Basset who is estimated at 8, but he is showing us he's got great energy. He can even jump in and out of the bath tub and prefers to drink out of the tub. He is completely housebroken...has not had one accident and is not a leg lifter. He is completely safe in the house except he does chase cats. We don't think placing him with a cat would be a good idea. He is good on leash and LOVES going for walks. Very affectionate with humans. He is fine with other dogs but doesn't interact with them at all; tends to just ignore them. I don't view him as a playmate for another dog. He is great in the crate; I just throw a treat in and he goes right in; he doesn't like being in the crate but he is good about it, doesn't bark or howl; and he sleeps through the night. Hates having anything done with his ears. But he is sweet, sweet, sweet and cute, cute, cute, especially when he runs. 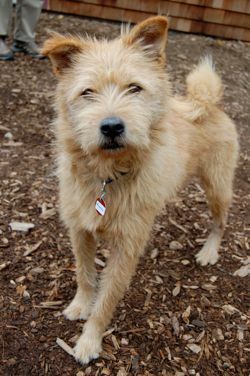 Won't you give this great dog a home? He was given up due to foreclosure. Our process is that you fill out the application first, then in one or two days we will contact you if your application is a match. Please read our guidelines under Apply to Adopt as some dogs require a stay-at-home and some dogs require a fenced in yard. Sponsors for these dogs would be most welcomed and appreciated. 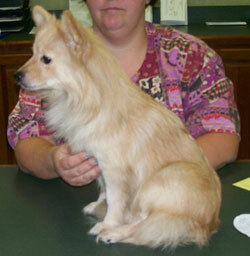 Chloe is a young spayed female Pom/Spitz mix. She weighs 9.5 lbs. She was rescued in WV and flown to MA by Pilots 'n Paws (thank you, Pilots!). She plays nice with other dogs and is a gentle little dog. Her coat was real dry when she came in but the owner said she used to give her baths all the time, so maybe the coat got dried out. She's on a high quality dog food now with some raw meat added so her coat is looking better. Chloe is housebroken yet crates quietly. She will go to the door and scratch when she has to go out. She prefers to lie on the top of the couch, and she takes treats calmly from your hand. She would be fine with visiting children, but is too delicate to be carted around by little ones. Gentle tweens would be ideal or an adult home. She has lived in a multiple-dog household, but didn't get much attention there, so maybe just one other dog would be okay for her. She needs lots of one-on-one for herself without another dog getting jealous. Availability 10/6/09. Frankie showed up at a person's home in rural WV. He is a good dog; loving friendly and playful. He really likes squeaky toys. He will be available on 10/16/09. Our process is that you fill out an application online and either we will be in touch or you can come to one of our Meet and Greet events. It's helpful to know if you're coming so that we can print out your application ahead of time. 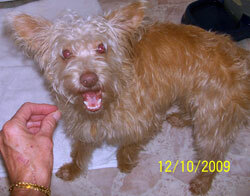 Frannie is a one to two year old female spayed Yorki-poo who was abandoned at a vet's office. She will be available 10/16/09. No phone calls, please. We will only place her locally within a 10 mile radius of our shelter as we will have more applications than we know what to do with. Our process is that you fill out the application first, then give us a few days to get back to you. Please read our guidelines under Apply to Adopt as some dogs require a stay-at-home and some dogs require a fenced in yard. 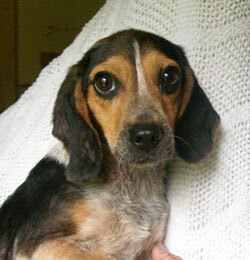 Gracie is a female beagle mix who we thought was 3, but the vet says she's 2 years old. She was abandoned in WV in early August, then rescued by a humane society and she was thin and had mange, but look at her now. She's gained the weight back and her coat has filled in beautifully. She appears to have had at least one litter of puppies. She is very active and immediately used the newspapers when she was brought to her foster home. She is good with the other dogs. She worked and worked until she was able to climb onto a pile of "stuff" on the floor and jump into bed with the humane society director. She is a real cuddler and a snuggler, but she also can play, play, play. She tells us she wants a nice cushy life from here on out and wants to be with her people day and night. These pictures were taken when she was first rescued. She looks nice and filled out now. She is leash trained, paper trained, good with dogs and cats. She will get into stuff so needs to be crated when not supervised. She will be available 10/6/09. Thank you to Pilots 'n Paws for flying her from WV to MA. You folks are the best! 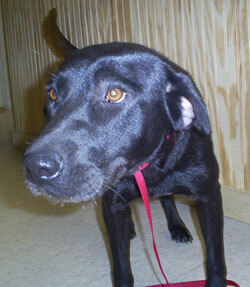 Hannah is a 12 month old spayed female black lab pup who weighs 29 lbs. She's little so must be mixed with something small. She's a LOVE and is good with everyone. She is from MS originally and available 9/23/09. Our process is that you fill out the application first, then we will contact you if your application is a match. Please read our guidelines under Apply to Adopt as some dogs require a stay-at-home and some dogs require a fenced in yard. Phone calls are discouraged before the dog arrives as we tend to put down everything we know. If information is missing, it's usually because we don't know yet. :-) We're adding a donation button because we owe this shelter a big donation to pay for heartworm treatment of one of our other dogs who already got adopted. 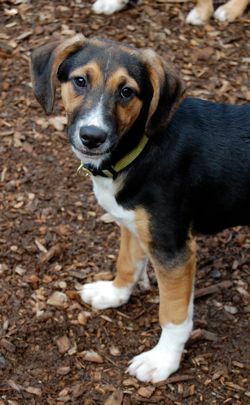 Hershey is a 4 month old female Basset Hound mix. She is sweet and playful. She is available 10/16/09. Please fill out an application online so that we can print it out when you visit at one of our Meet and Greets. 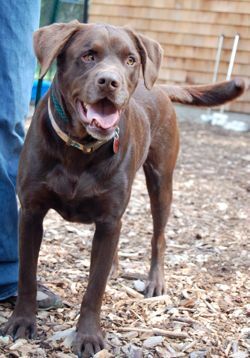 Homer is a male 3-4 year old Chocolate Lab who was rescued from animal control on the day he was to be put down. He is neutered and good natured. Gets along with all dogs, even smaller ones. He had an eye injury that healed on its own so he has one "funny" eye, but don't hold it against him as his personality makes up for his odd looks. 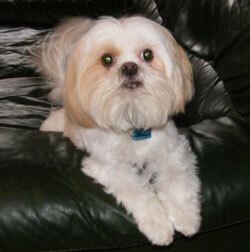 He's a great dog to have as a companion or even as a friend for another dog as he is very good natured. He is coming up on 10/14/09 from TN and will be available on 10/16/09 after his vet check. 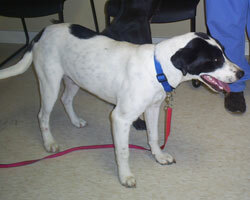 He has already been vetted in TN as well, as are all incoming dogs. Our process is that you fill out the application first, then give us a few days to get back to you or come to one of our Meet and Greets to meet the dog. Please read our guidelines under Apply to Adopt as some dogs require a stay-at-home and some dogs require a fenced in yard. 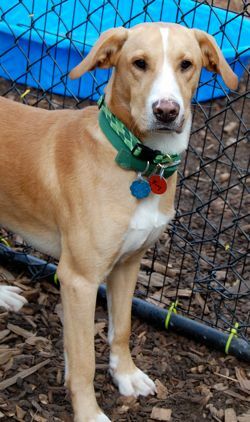 Joey is 7-9 months old, looks like a golden retriever / yellow lab mix, but is medium size. He is on the thin side as he was dumped at the river near a family's house in rural TN, he probably had very little to eat even before that. It's hard to imagine what this dog has been through, but he was so appreciateive of everything the family did for him and he got along great with their dogs, as you can see he's sharing a bed with one of them. He is a joyful pup who is not holding his ill treatment against humans. He is just happy to have a warm place to stay. Will you be his forever mom or dad? The family who rescued him has three other dogs and they have more then they can handle, so are sending him to Save A Dog. He will be arriving on 10/14/09 and available on 10/16/09. Our process is that you fill out the application first, then give us a few days to get back to you or come to one of our Meet and Greets to meet the dog. 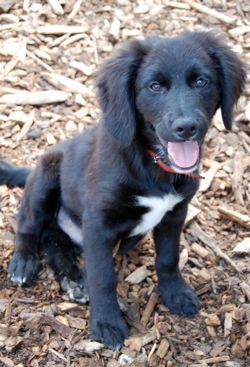 Katie is a 4-5 year old spayed female Lab mix (probably something long-haired like Shepherd or Collie). She was a stray in TN who had her pups under someone's porch. She is good with dogs, cats, and kids and plays with four little girls every day, from ages 5 to 8. She weighs around 45-50 lbs. Better pictures coming soon. She will be coming up on 10/14/09 and available for adoption on 10/16/09. Our process is that you fill out an application and you should hear from once within a few days after the dog's arrival. We tend to show the dogs on weekends, so watch our Web site for Meet and Greet hours. Laverne is in heaven now, having lost her battle with lymphoma. She had a lovely hospice home with one of our dear volunteers. She enjoyed daily walks and the company of two other dogs who were very doting over and slept near her to keep her warm. 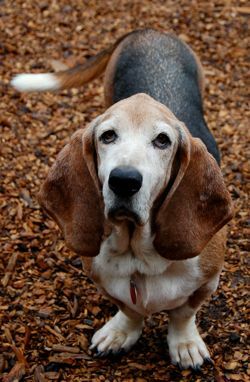 Laverne was the most beautiful dog, so dignified right to the end. Laverne, we will miss you. Special thanks to Furry Essentials in Worcester (508-853-1220) for donating a grooming for Laverne and to Windhover Veterinary Center for helping us to keep the costs down and for your insights into her condition. Lola is an adorable 2 year old spayed female Shih Tzu who is perfect in many ways, but was given up due to a housetraining issue. She was raised from puppyhood by a busy family who did not always have time to monitor her inside the house, although she has been trained to go on a pee pad outside on a deck. She is gentle with children, very friendly with everyone, sweet and loves to be held. She is a real lap dog but she also loves her toys and balls. She has a wardrobe that is enviable and was well cared for in her previous home. She is up to date on vaccines and we prefer a holistic home from here out as she has a sensitive stomach and sometime itchy skin, which is typical of many small white dogs. 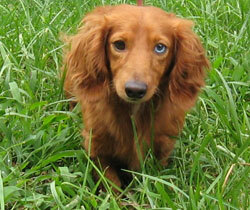 Her coat is beautiful and well groomed currently so with a high quality dog food or the raw diet, she will flourish. She will not be at the meet and greet on Sunday. She is available by private appointment as she is in a foster home. 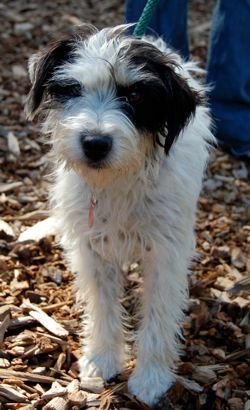 Miley is a one year old (born June 08) Parsons terrier mix. She is medium energy level. Loves to run outdoors and needs exercise daily. She will sleep in a crate and would do best as a house pet with a fenced in yard. She has been exposed to cats and is good with them, but we don't generally recommend this breed with cats or young children. She is good on a leash, but will pull. 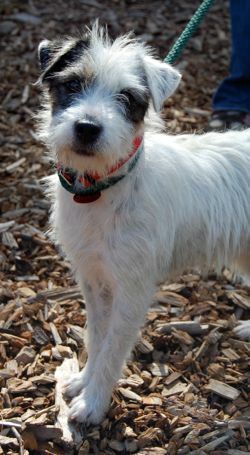 She will need obedience training and a terrier-experienced adopter or an adult who is willing and eager to learn. Our process is that you fill out an application on our Web site and read our guidelines for adopting first. We tend to show the dogs on weekends, so see web site for hours. 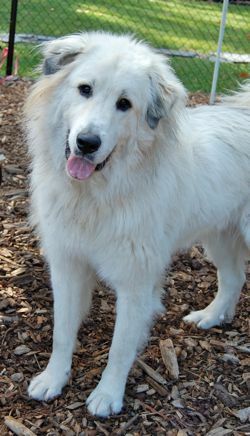 Pepper is a Great Pyrenees mix male who 12 months old this month. He was born October of 2008, was neutered in March this year and had his rabies at that time. He weighs between 85 and 90 lbs but is gentle with puppies. He walks well on leash. Because of his size we are not going to place him in a household with small children. Our process is that you fill out the application first, then in one or two days we will contact you if your application is a match. Please read our guidelines under Apply to Adopt as some dogs require a stay-at-home and some dogs require a fenced in yard. He is available to be seen during our Meet and Greet hours. 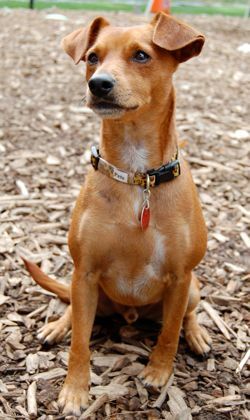 Rico is a one year old male Parsons/Jack Russell Terrier mix. He and Miley are friends and came in together from the same home. He weighs 13 lbs. He likes to go for long walks, loves to run in fields, and likes to play with female dogs. He was exposed to cats and did not chase, but given his breed we suggest no cats. Our process is that you fill out an application and read our guidelines for adopting on our web site, then wait to hear from us or watch for our Meet and Greet hours. Rico will be available as of 10/16/09. 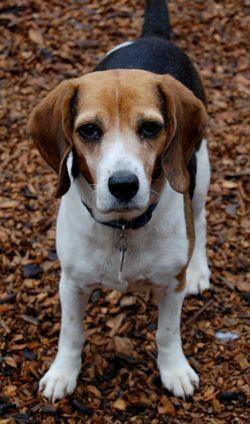 Rocket is a 7 year old male beagle who is petite and sweet. He loves affection and attention. he is very good with other dogs. 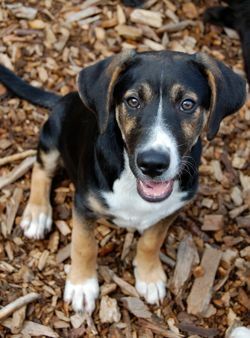 His foster mom says: he's fully housetrained and does great with both of my dogs (they are male and female... both close to Rockets' size). ; He doesn't chew or get into stuff (however, he did surf my coffee table the first day I brought him home but hasn't done it since)... he's a very calm, well-behaved boy. He doesn't like the crate, but he does accept it. He doesn't need the crate though since he mostly lounges around. He loves to be snuggled and have his belly rubbed. If he's sitting near me he'll scootch closer and closer until he's able to lean against me and then he'll put his face against my cheek and give kisses... it's really cute!! He won't eat the kibble if it's plain... he didn't eat anything the first day I had him so I bought cottage cheese to mix into the kibble and he ate every bite! Our process is that you fill out the application first, then in a few days we will contact you if your application is a match. 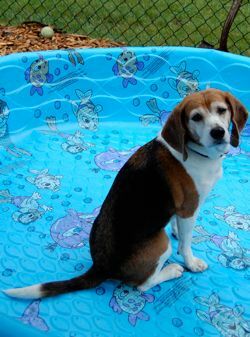 Roscoe is a small 7 years young Beagle who is full of joy and just loves people. His foster mom says: When I return to the house after a short time out, he greets me joyfully, tail wagging and jumping up for kisses. He is quiet, not a barker. He is really a delight to everyone he meets. Roscoe likes to nest in any soft and comfortable spot - he works with his paws to make a perfect nest in his dog-bed, and then plonks himself right in the middle and curls up small to sleep - it is very cute. Roscoe loves all people and dogs, and strains on the leash to go greet them when we are out walking - all strangers are, to him, just friends he hasn't met! He is very good on the leash, and calm in crowded and noisy situations. 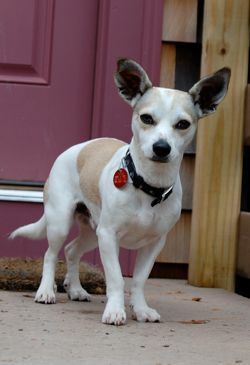 Roscoe is a perfect small dog for a family - friendly with strangers and very loving with 'his' people. ROSCOE and ROCKET are brothers but do NOT need to be adopted together. As with almost all scent hounds, these two will require a secure, fenced-in yard. These boys have been indoor dogs all their natural born lives and are fully housebroken. They were owner surrendered due to foreclosure. 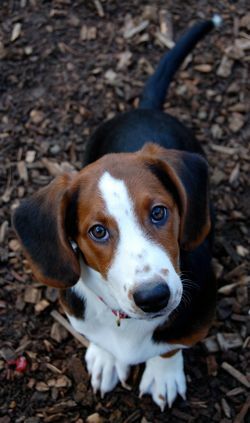 They are on the smaller side as Beagles go, and are very loving and in excellent health. . Our process is that you fill out the application first, then in a few days we will contact you if your application is a match. 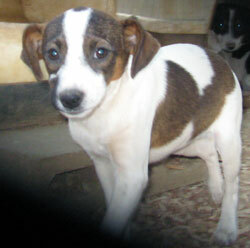 Iris, Lilly, and Rose are 16 week old female Rat Terrier mix puppies who weigh 10-12 lbs each. They were brought to a dog rescuer's home in TN and she was full so the owner asked where the nearest Animal Control place was because "they were leaving today", so the rescuer took them in to keep them from being put to sleep. 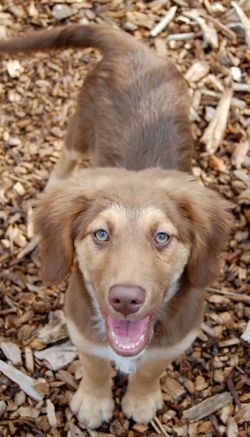 They are happy and playful, loving chasing balls or playing tug-o-war. They are great in the car, not leash trained though, would be great with someone who can spend the time with them. Each will get adopted separately, of course. Our process is that you fill out the application first, then give us a few days to get back to you or come to one of our Meet and Greets to meet the dog. Please read our guidelines under Apply to Adopt as some dogs require a stay-at-home and some dogs require a fenced in yard. Phone calls are discouraged before the dog arrives as we tend to put down everything we know. If information is missing, it's usually because we don't know yet. :-) They are arriving on 10/14/09 and availale on 10/16/09. 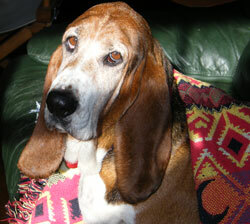 Shirley is a beautiful spayed female Basset who is 7 years old and looking for a new home. She is an angel! Very easy going girl. She is fostered with children and is doing great. 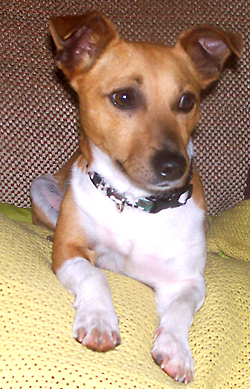 Her foster mom says: She is so well behaved and cuddles with everyone – the kids, us, the cats and Marino. No work at all! She is strong on leash though, so a no-pull harness would be great. She is much stronger than I thought she’d be so she’ll need someone who can keep a grip on her. She has lots of funny little habits. When she wants your attention she’ll sprawl on the floor like Superman and drag herself across the room to you while making this funny noise. It sounds like she’s talking. Her tail never stops wagging. She is a delight! Here's her history: She and her sister Laverne are two beautiful sisters who were found wandering down a main thoroughfare. Tags were removed and a duct taped note stated that they could no longer be kept due to foreclosure. "PLEASE someone love them as much as we did." They were picked up by an animal lover in PA who contacted rescue. These wonderful girls deserve the very best. They are pet quality, exceptionally inter-active and friendly! Our process is that you fill out the application first, then in one or two days we will contact you if your application is a match. Please read our guidelines under Apply to Adopt as some dogs require a stay-at-home and some dogs require a fenced in yard. Hi.....my name is Sweet. I'm one year old and I'm spayed. I came from Mississippi. I was rescued from a horrible place by a nice lady who said she was going to find me a REALLY GOOD home. She had gotten a call from the man who was supposed to be feeding me, but wasn't! He told her he didn't want "no pregnant dog" and to come get me! My rescuer didn't want the ACO to wrap a noose around my neck and pick me up and throw me in the back of a pickup truck, so she rode all the way out in the country where I had been dropped off, and she found me! And guess what? I was NOT pregnant! But I was about to die from so many fleas all over me and I was starving to death!! 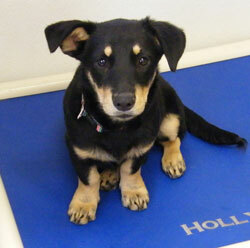 After my rescuer had me spayed and checked for heartworms (and I was heartworm free! ), my previous owner called back and said he wanted me!! But when he found out he would have to pay my medical, he got mad and hung up! I was soooo glad.....he never fed me or even gave me water! My rescuer fostered me for months and kept telling me how lucky I was getting to go to Massachusetts! She said I was going to have the best home in the world! I'm a little shy and afraid of people at first, but I just love other dogs. My rescuer thinks I've been abused and will warm up to my new owner after given just a short time! I think she's right! I just want real love! I don't even mind cats!